We always want to provide excellent “servicio” to our customers and one of the ways we do this is by only representing great car insurance companies, Dairyland Auto, one of the many companies we represent, makes that easier since they speak the language. Dairyland Auto’s bilingual support, tailored coverages, and payment flexibility allow us to offer a wide range service to our customers and serve them throughout the life of their policy. Through Dairyland Auto, we can write car insurance policies for those with foreign licenses and even for unlicensed drivers. Dairyland Auto’s affordable insurance plans, low down payments, and easy endorsements are available to those with those with a valid US drivers license, those with foreign licenses, and even those with no license at all, with the same high level of service you expect. Dairyland Auto also offers bill alerts to keep their customers informed of upcoming bills with a choice of English or Spanish text or email reminders. This is an easy way to remember to keep your insurance paid! Dairyland Auto’s bilingual Customer Care and Claims teams are available by phone, and their website changes from English to Spanish with the click of a button. 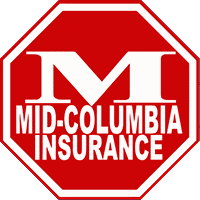 And you can use My.DairylandInsurance.com or their toll-free number, (800) 334-0090, to make payments on your Dairyland Auto Insurance policy 24 hours a day.